Ever since I’d heard of Kanebo discontinuing their T’estimo makeup line, I’d been upset because T’estimo is one of my favourite cosmetic lines. Its now replaced by a new line called Coffret D’or which I would believe is presently available in Japan and maybe later in the rest of the world. 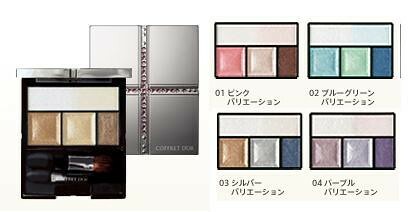 The case reminds me of Lunasol (another Kanebo brand) but the layout of the eyeshadows remind me very much of Maquillage by Shiseido or even Kate by Kanebo. Even the colour combinations are quite similar to those in both those brands. 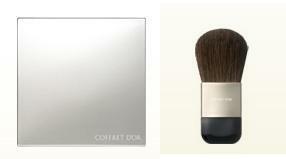 I wonder what the texture will be like because they look silky and shimmery and the white bit must be a highlighter. 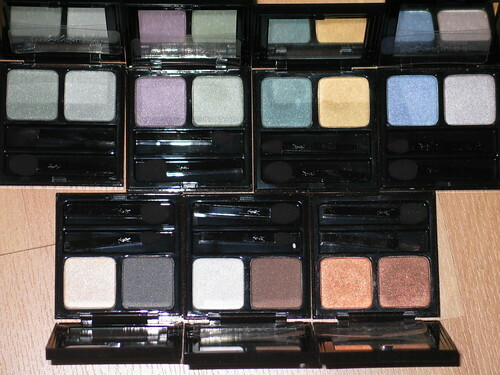 There are no pictures of single eyeshadow yet so those might be on the way. The blushes look like those from Shu Uemura and the previous ones from T’estimo, in that they come in a simple plastic case which I believe you can then depot into a proper compact. The blush colour don’t look very exciting but I do not own any T’estimo blushes anyway simply because they weren’t very exciting. This appears to be the compact that houses the blushes. I can’t read Japanese but I assumed so because the brush that is included looks like a blush brush. 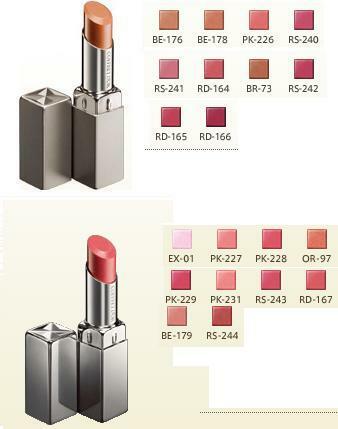 I love T’estimo lipsticks because they are smooth, glossy and not drying. They do tend to be on the slightly sheer side as are most Japanese brand lipsticks, but I’m not complaining. Again, the lipstick packaging reminds me of the Lunasol Intellectual Lips lipstick but the colours look a bit more exciting. From what I see of this line, I think Kanebo seems to be moving away from the young image that T’estimo used to serve, rather like when Shiseido launched Maquillage to replace PN (Pied Nus). I’m guessing here, but since Kanebo already has Kate and Media in their stable to serve the young they are now targetting working women in their mid to late 20’s and 30’s who want something more grown up and who can afford something a little more expensive/exclusive. 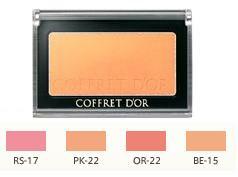 I can’t wait till Coffret D’or gets here so I can play with them! I’m sorry that I seem to keep taking hiatuses from updating this site. My latest excuse is that I’ve just had my personal belongings stolen over the weekend so I’m really busy getting my documents and cards replaced. I promise I’ll be back to a more regular posting schedule soon.